17-18 September 2011 in Riga was held the first international youth festival of arts and cultural traditions of the Ukrainian community, dedicated to the 100th anniversary of the Ukrainian diaspora in Latvia and the 20th anniversary of Independence of Ukraine. The organizer of the festival was the Ukrainian Center for Youth and Children in Latvia, led by Mrs. Olga Berga. The festival was held with the support of the Small Guild and within the integration project from the municipality of Riga. The festival was attended by – The Theatre of song “Ka Prize” (Lviv, Ukraine), National capella of bandurists “Halychanka” (Lviv, Ukraine), National folk ensemble “Vyshyvanka” (Kyiv, Ukraine), the National Scout organization of Ukraine Plast, artist-designer Isolines Frankiv (Lithuania), a youth team of Ukrainian Cultural Center “Kobzar” (Novi Sad, Serbia), a youth team of Congress of Ukrainians in Estonia, the Ukrainian company “Yavor” (Jekabpils, Latvia), Children’s group “Koza Dereza” of Ukrainian Society “Spruce”(“Smereka”) (Yelhava, Latvia), Riga Ukrainian Secondary School, Latvia, Ukrainian Association” Dream “(Daugavpils, Latvia), Ensemble LV: UA of Ukrainian Center for youth and children in Latvia. We offer an interview about the festival and the activities of the Ukrainian community in Latvia with the head of the Ukrainian Center for Youth and Children of Latvia Olga Berga. When the idea of this festival appeared? What pushed you to the organization? What was the main goal of such an event? The idea of the festival we carried out long ago. A good example for us was the first forum of Ukrainian youth in Tallinn, Estonia in June 2009. Since then we wanted to do something similar in Riga. First of all, for us it was important to involve young people to work in the diaspora and popularization of Ukrainian culture among the population of Latvia. I think that we have completely done it. We showed the guests of the festival (and among them were many Latvians) diverse groups from Ukraine. Also, our children and young people were able to act together with youth from Ukraine. It is actually very important for us . We even could learn how to dance Ukrainian dance, thanks to the representatives of Ukrainian and Estonian Plast. Another interesting event was an exhibition of embroidery by Mrs. Isolina Frankiv(Lithuania). Tell us, please, what is the situation with the activities of Ukrainian community in Latvia in general now? The situation with Ukrainian community in Latvia is rather ambiguous. As the whole Latvia we are living through a crisis. Though Ukrainian Societies in regions work actively. It is because in regions local government support Ukrainian organizations better. For example, city Eglava. For 2 years local Roman Catholic community led by Bishop support pursuing Bethlehem Fire of Peace together with Ukrainian scouts. And what about the activities particular of Ukarainian Youth? The only organization which works actively is Ukrainian Centre of Youth and Children in Latvia. For the short period of time we took part in Youth forums, camps, seminars in youth exchange between European Countries. The bright event last year was the meeting of Bethlehem Fire which was prepared jointly with the Ukrainian Plast. Our youth also takes active part in the activities of the Ukrainian diaspora in Latvia. And also the team of our organization participated in the youth project “Life without electricity” that organized youth organization Plast in Estonia. All of our active work enables young people to feel ownership to the great Ukrainian Nation, encourages to the study of language and culture. Today actively work our centers in Jekabpils and Yelhavi. I know that you were supported by Small Guildia and Riga City Council. How did they reacted on the idea of Ukrainian festival? Did Ukrainian Embassy support you? 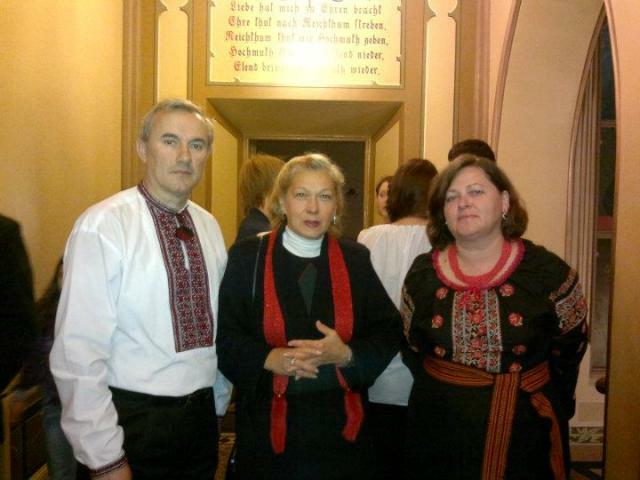 It was supported by both – Small Guild and Ukrainian Embassy. In fact it was the proposition of Riga Council to organize such festival. Ukrainian Embassy also supported us. Despite all the difficulties and the lining, the wife of Ambassador of Ukraine in the Republic of Latvia Mrs. Zoya Oliynyk was at the festival until the very end. Who else joined to the organization of festival? 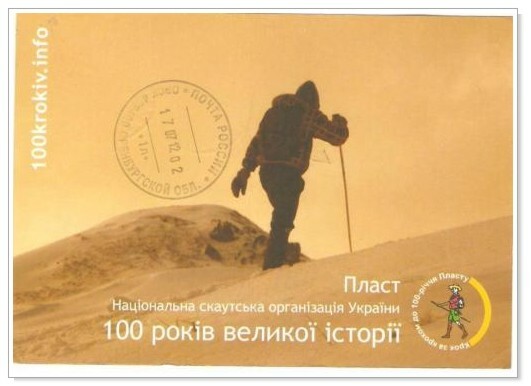 The main our partner was Ukrainian caf? “Dnipro”. Many thanks to Mss Ljyda Klymeno and Mss Oksana Rogalska. We received some help from “TigerHostel”, High School of Education and Information Technologies ISMA and company “Olimp”. Do you have any ideas for the future? What do you consider to be the most important in work with Ukrainian youth in Latvia? For the future – first of all we have to open the courses or groups in order to learn Ukrainian language. By the way, even Latvians like this idea. Our head of Small Guild expressed the desire to learn Ukrainian language. We also want to organize a big holiday for youth at Christmas. I hope we will cooperate with youth organizations from Ukraine and abroad. We also plan to take part in European Union projects. Maybe we will write and realize our projects. Which reviews have you already received from the participants? Despite the difficulties in organization we have received many positive opinions. It is very important that they are sincere. It was a pleasure to speak to Ukrainians from Novy-Sad, from Serbia and with good friends from Estonia. It was also great to receive gifts from invited participants.